Applications of implantable drug-eluting devices include, among others, diabetes management, contraception, HIV/AIDS prevention, chronic pain management, cardiology, oncology, and central nervous system (CNS) health.2,5-10 Along with subcutaneous implantation, various body regions can serve as implantation sites (eg, intravaginal, intravascular, intraocular, intrathecal, and peritoneal).2,6,11-13 In this white paper, developmental and commercial examples of non-biodegradable drug-eluting devices will be presented, along with the versatile properties of thermoplastic polyurethanes, specifically Lubrizol LifeScience’s PathwayTM TPU Excipients for the development of effective drug delivery systems. 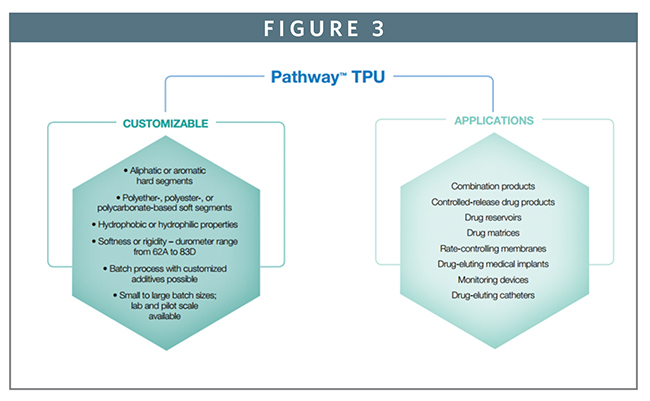 Non-biodegradable Pathway TPU excipients are versatile and customizable to a broad range of chemical and physical properties providing variety along a number of dimensions, including drug-release kinetics (short- or long-term), active pharmaceutical ingredient selection (hydrophobic or hydrophilic APIs), processing methods (extrusion, injection molding, or solvent casting), and mechanical performance.16,18-22 These unique attributes provide developers with tremendous design flexibility. Merck also developed Nexplanon® (a new version of Implanon®). The Nexplanon drug-eluting device is made from EVA and delivers 68 mg of etonogestrel for up to 3 years.27 Unlike the NuvaRing, Nexplanon is a rod implanted subcutaneously in the arm. 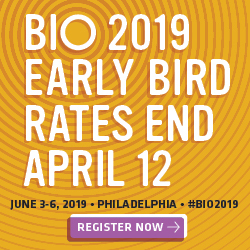 -J3 Bioscience, Inc. (formerly ViroPan) is developing an intravaginal ring with a glycerin formulation to relieve the symptoms of vaginal dryness and aims to provide relief for up to seven days without the use of drugs or hormones.32 The company has completed a pilot human trial and now is preparing for the pivotal study. Drug-eluting devices have been developed for the treatment of, among others, brain tumors, prostate cancer, and bladder cancer.15,44,45 Endo Pharmaceutical’s VantasTM, for example, is a hydrogel depot that delivers 50 mg of histrelin acetate subcutaneously for 12-month relief of prostate cancer symptoms.45 TARIS Biomedical developed a non-biodegradable drug-eluting device to treat non-muscle invasive bladder cancer (NMIBC).44 TARIS Biomedical’s technology is a small flexible pretzel-shaped system that delivers drugs for several weeks through an osmotic pump made of silicone and nickel alloy wire.46 Alternative therapies for NMIBC can cause systemic side effects and are only held in the bladder for a short period of time.44 However, drug-eluting devices implanted in the bladder offer targeted delivery of APIs for a longer period of time in comparison to traditional methods, which may improve symptom relief for patients suffering from NMIBC. Endo Pharmaceuticals’ MedLaunch Implant Program developed a subcutaneous drug-eluting device to deliver risperidone, and similar to Titan’s Probuphine, this technology will be commercialized by Braeburn.10,53 Nearly 50% of patients being treated for schizophrenia are non-compliant.54 Non-biodegradable drug-eluting devices that can deliver antipsychotics at a controlled rate for a prolonged period of time (eg, 60 to 90 days) may provide substantial therapeutic benefit for patients. Lubrizol LifeSciences partners with pharmaceutical companies from ideation to commercialization. Lubrizol’s non-biodegradable Pathway TPU excipients can be tailored to suit a wide range of drug delivery applications and can be processed into a variety of shapes (eg, rods, tubes, films, and a variety of matrix-type designs) via methods such as hot-melt extrusion, injection molding, and solvent casting. Ethylene oxide, hydrogen peroxide, E-beam radiation, and gamma radiation are acceptable methods of sterilization. Lubrizol’s 2013 implementation of the International Pharmaceutical Excipients Council’s Good Manufacturing Practice quality system for excipients and database generation of Drug Master Files facilitate non-biodegradable drug-eluting device development. 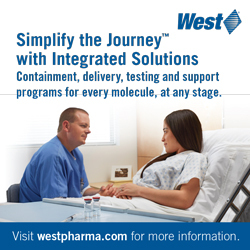 As a result of Lubrizol’s 2014 acquisition of Vesta and 2015 acquisition of Particle Sciences, Lubrizol provides complete drug product development, including pharmaceutical-grade polymer supply and contract research/analytical and contract manufacturing capabilities through to commercialization. Thermoplastic polyurethanes have exceptional safety records with over 30 years of use in medical devices, such as catheters and pacemakers.58 The unique ability to customize TPU properties allows for the development of advanced drug delivery systems. 1. Zaki AJ, M, Patil, SK, Baviskar, DT, Jain, DK. 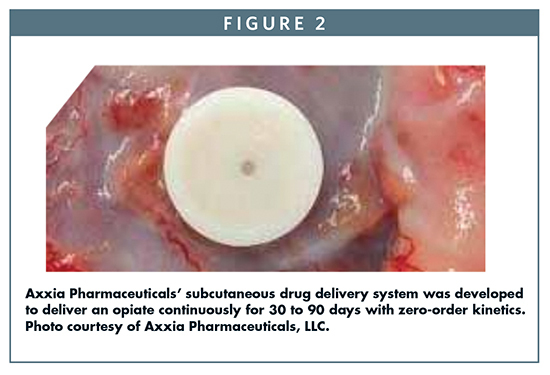 Implantable Drug Delivery System: A Review. International Journal of PharmTech Research. 2012;4(1):280–292. Available at: http://sphinxsai.com/2012/pharm/pharm/pt=40(280-292)jm12.pdf. Accessed 2015. 8. Pogorelc, D. Pain drug-delivery chip may help reduce opiate abuse. 10. Schwarz, A., S. Thoroughman, D. Winstead, S. Decker, and J. Varughese. Development of a Subcutaneous Implant Using Polyurethane as a Semi-Permeable Membrane for the Controlled Release of Risperidone.” Endo Healthcare Solutions. 11. Dalton, Michelle. Drug-delivery Micropump for Chronic Retina Disorders. Ophthalmology Times. 2014. Available at: http://ophthalmologytimes.modernmedicine.com/ophthalmologytimes/news/drug-delivery-micropump-chronic-retina-disorders?page=full. Accessed 2015. 16. Marchant, Nancy. Drug Release and Non Degradable Polymers: Thermoplastic Polyurethanes offer greater control. 17. Mccall AA, Swan EE, Borenstein JT, Sewell WF, Kujawa SG, Mckenna MJ. Drug delivery for treatment of inner ear disease: current state of knowledge. Ear Hear. 2010;31(2):156-65. 18. Clark, Johnson et al. 2012. A hot-melt extruded intravaginal ring for the sustained delivery of the antiretroviral microbicide UC781. J Pharm Sci 101(2): 576-587. 19. Clark, Justin T., Meredith R. Clark, Namdev B. Shelke, Todd J. Johnson, Eric M. Smith, Andrew K. Andreasen, Joel S. Nebeker, Judit Fabian, David R. Friend, and Patrick F. Kiser. Engineering a Segmented Dual-Reservoir Polyurethane Intravaginal Ring for Simultaneous Prevention of HIV Transmission and Unwanted Pregnancy. PLoS ONE. Burnet Institute, Australia, 2014. 20. Clark, Meredith R., Justin T. Clark, Todd J. Johnson, Namdev B. Shelke, Joel S. Nebeker, Gustavo F. Doncel, David R. Friend, and Patrick F. Kiser. Development and Pharmacokinetics of a 90-Day Intravaginal Ring for the Sustained Co-Delivery of the Microbicide Tenofovir and Contraceptive Levonorgestrel. USAID. 21. J.Y Cherng, T.Y. Houa, M.F.Shihb, H. Talsma, and W.E. Hennink. Polyurethane-based drug delivery systems. Int J Pharm 2013. 22. Khandwekar, A.P., Patil, D. P. Hardikar, A. A. Shouche, Y.S. and Doble, M. In vivo modulation of foreign body response on polyurethane by surface entraptment technique. J. Biomed Mater. Res. 2010. 23. Colas, Andre. Silicones in Pharmaceutical Applications. Dow Corning Healthcare Industries. 26. Sifferlin, Alexandra. Women Who Stand By Their NuvaRing. Time Magazine, 2014. Available at: http://time.com/6764/women-whostand-by-their-nuvaring/. Accessed 2015. 31. Chen Y, Traore YL, Li A, Fowke KR, Ho EA. Development of polyether urethane intravaginal rings for the sustained delivery of hydroxychloroquine. Drug Des Devel Ther. 2014;8:1801-15. 37. Intarcia Therapeutics, Inc. Announces Completion of Enrollment of ITCA 650 Phase 1b Study for the Treatment of Type 2 Diabetes. 2009. Available at: http://www.intarcia.com/media/pressreleases/2009-apr-24-completes-enrollment.html. Accessed 2015. 38. Intarcia and Servier Sign Ex-U.S. Partnership for ITCA 650 in Diabetes; Intarcia Retains Independence & Full Control of the U.S. & Japan. 2014. Available at: http://www.intarcia.com/media/pressreleases/2014-nov-12-ex-us-partnership.html. Accessed 2015. 45. Vantas (histrelin Implant). FDA.gov. Endo Pharmaceuticals, 1 Nov. 2010. Available at: http://www.accessdata.fda.gov/drugsatfda_docs/label/2011/021 732s013lbl.pdf. Accessed 2015. Newswire. 2009. Available at: http://www.prnewswire.com/newsreleases/10000-issac-award-for-innovation-presented-to-mit-phd-62237832.html. Accessed 2015. 47. Prescription Painkiller Overdoses. Centers for Disease Control and Prevention. July 2013. Available at: http://www.cdc.gov/vitalsigns/prescriptionpainkilleroverdoses/. 48. Axxia Pharmaceuticals. Axxia Pharmaceuticals. Available at: http://www.axxiapharma.com/. Accessed 2015. BRAEBURN PHARMACEUTICALS. Titan Pharmaceuticals, Inc. 2012. 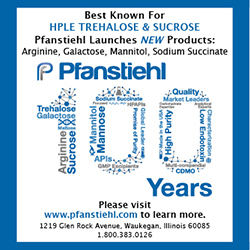 Available at: http://www.titanpharm.com/press/2012/121217-press-rel-titan-partnering-update.htm. Accessed 2015. 55. Product Description. Replenish Inc. Available at: http://replenishinc.com/our-technology/product-description. Accessed 2015. 56. The Restora Steroid-Eluting Spacer. Naturally Powered Sinus Solutions RSS. Available at: http://sinusys.com/restora/. Accessed 2015. 57. Eazi-Breed CIDR® Cattle Insert (progesterone). Zoetis United States. Available at: https://www.zoetisus.com/products/beef/eazi-breedcidr.aspx. Accessed 2015. 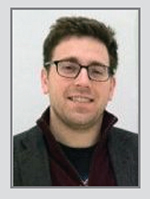 Samuel D. Trohman is currently a Marketing Specialist for Lubrizol LifeSciences. Mr. Trohman earned his BA in Biology from the University of Colorado in 2010 and his MBA from Indiana University’s Kelley School of Business in 2014. He was also a coauthor for Cardiac arrest: unveiling the differences within. Crit Care Med (2011). 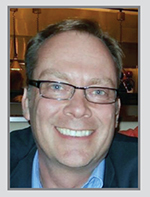 Joey L. Glassco is a Global Market Manager for Lubrizol LifeSciences. Her main focus is new business development in the area of drug-eluting devices. Her efforts support the company’s position as a supplier of pharmaceutical and medical polymers to include formulation and manufacturing. Dr. Elena Draganoiu is a Technology Manager with LifeScience Polymers business at Lubrizol. She is a graduate of the University of Cincinnati (PhD, Pharmaceutics). She has 10 years of experience working in the excipients industry and has also worked as a resident pharmacist and in academia. Dr. Draganoiu is responsible for leading Lubrizol’s technical programs in the area of pharmaceutical ingredients. 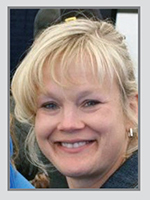 Carey Boyum is a Technical Marketing Manager for Lubrizol LifeSciences and has held various sales and marketing positions since 2004. Currently, he is actively promoting products from Lubrizol’s acrylic acid and thermoplastic polyurethane technology platforms, primarily to the pharmaceutical market. He earned his BA in Chemistry from Augustana College.